20. Black Kids- I’m Not Gonna Teach your Boyfriend how to Dance with you! 27. Squire- It’s a mod mod world! 19 - Albert Hammond Jr.
29. Awesome Color - Electric Aborigines - Ecstatic Peace! 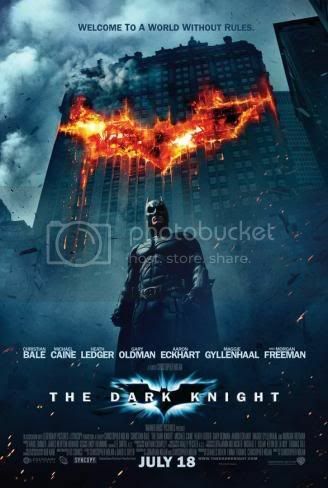 This is the latest of the batman film fanchiese since it was reviled back in 2005 with "Batman Begins", Christian Bale return as the Cape Curser as he fight crime in Gotham City and his alter ego Bruce Wayne. the movie also stars Maggie Gyllenhaal taking over form Katie Holmes as Bruce Wayne love inster Rachel Dawes, Michael Caine returing as his bulter Lord Alfred, Gary Oldman Lt. as Lt. Officer James Gordon and Morgan Freeman as Lucius Fox. The early review that i have read it look like the heath protrail of the clown prince of crime [which have been play in the past by Jack Nickinson in "Batman" in 1989 and Cesar Romero in the 1960's tv seriers] is one of the best perfromnce of the joker ever on the on screen. and not olny that this is a tribute to one of the great Character actor who was gone way too soon, and yes he was a really good actor, i saw the "I'am not there" in the discount thether back in march and he was really good in it, he was also in "Monster's Ball", "Lords of Dogtown" [which was base out of the wonderful doc dogtown and Z-Boys] and the movie that won him a oscar non "Brokeback Mountain"
Below are the trailer of "The Drak Knight" and something i have never done on Film Guide Friday a list of the Theatres that are showing the drak night and before you go to see the movie it made be wise to called ahead and resever your tickets so you wount be shut out. Meryl Streep Daugher is geting married and not only that she have three differcen Father but one of them is the real father so do they take it on the maury show to ask that words "You Are The Father", No you make a Movie with a lot of ABBA songs in it. 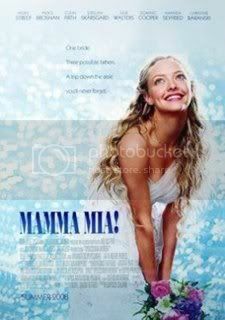 and Sorry if i ask when will Mamma Mia! return to the fisher theater, i want to see the live stage version. And coming off last week dud of a Movie like "Meet Dave" [which bomb big time last week], we have a movie with Animation space chimps trying to reteved a space probe after it was lost in a space hole. 1st Eddie murphy contorling a spaceship looking like himself, then Animation space monkeys what Next a bad remake of the mid 70's Space serier Space: 1999 who know it could be boring. Francois Cluzet stars in this French thriller from director Guillaume Canet. Eight years after the heinous murder of his wife, doctor Alex Beck receives an ominous email from an unknown source. The message contains a video image of Alex's thought-to-be dead wife in real time. A smash hit in Italy, My Brother is an Only Child reunites director Luchetti with the screenwriters of his acclaimed The Best of Youth. Set in a small town in the 1960s and 70s, it’s the story of two brothers who want to change the world – one as a prime mover in the local Communist Party, the other as a Fascist. What begins as a simple tale of sibling rivalry becomes an indelible portrait of the social upheavals of those turbulent times, as well as an unexpected love story. An intensely satisfying cinematic work about dreams and disillusionments, My Brother harks back to the exuberance of the early classics by Bellochio and Bertolucci. There is nothing new at the discount theaher this week show he is the latest listing from my fave discount theaher the Cinamark theaher in Warren. Will Ferrell and John C. Reilly are middle-aged, overgrown boys who become step brothers when their parents get married. David Duchovny and Gillian Anderson reprise their TV roles as agents searching for the truth and investigating the unexplained. as Michael Young's sacrifice fly score in Justin Morneau as he beat the thrown to win the game 4-3 in the fourth and Final all star game at old Yankee Stadium's in NYC [they move into the new Yankee Stadium across the street next season]. That is more fitting giving the music they used for ads for the game on FOX. that is no surprise the used music with the word "waiting" in it conserding we waited for three hours since the last run that tie the game 3-3 but the game is a instant classic. and for those of you want to know who the music on the ad's it was one of the ten best in the culture city festive 50 back in 2006 and there piloting the big time follow up. The Band is name after convenience store in Silver Lake, CA and they are know as the "Silversun Pickups" and the song is Lazy Eyes. It was real good to see the all girls plus one guy group back playing aging new Music aging after a real tough couple of years after there drummer and the husband of the lead singer where killed in a awful car wreck, so the New record is really a fresh new star. The show was a wonderful as they played mostly for there new fun recording which include "Antonio", "Bloodsuckers", "Aim and Shoot" and a Cover of Foreigner "Urgent" which is way better the the original which was cool. The girls Rebecca Crawford (vocals/bass), Emily Dennison (Keyborad), Patti Gran (vocals/guitar), and Chad Romanski (drums) sound really great with there cool fun loving sound and not only that Rebecca Crawford look pretty good wheid Converse Chuck Tarloy [that shoes for those not in the know]. The Opened up with "The Coronados" as they play there way modern day version of glam rock with Rick Lappin haveing fun rocking out there, and Melody Licious giving some good vocals, also playing was "The Dialtones but i just came in from cityfest so i catch the tail end. So the last gig for a wield [until the debut of Troy Gregory epic movie World war Love]was at a place that i have been there twice but it was at the middle of nowhere location on Detroit East side near the Michigan ave Mixing bowl near I-75 at the Bo House. The gig was a very laid back affair as Outrageous Cherry step out of it shell to play for the 1st time to test out the new songs for there upcoming CD which will be released at the end of the year and there new song sound really great as well they played the classic songs we all know and love including from there awesome last album Our Love Will Change The World (2005) and Stay Happy (2006). But Me and about the 20 friends of the scene came to see troy, Mary Alice and Teri Lynn played for almost the last time and it was a really good gig a perfit send off for one of my best friend in the scene who i know well for the last four year my 1st gig was i think 2004 at small in hamtramck. Now despite report that was spearing around before the gig this would be the last stepsister show, there was a post that the will get together to do a west coast tour and perform for troy Georgy film "World War Love"
And the third and last gig on triple gig Parlay was also my 1st gig at the lager House since the change of ownership at the end of last year, i did made a brife stop after the St. Patrick day parade back in March and i was thinking that they over green it so i was thinking i would never go the the Lager until there was a act that i like, well i when to one. it was the who i was a fan back in 2006 and was a fan when i saw there gig live webcast on CBC radio 3 "See Vous Play" live from the Kool Haus in Toronto back in 2006, it was the Montreal French-speaking band Les Breastfeeders and they put on a really awesome show. now even the whole band sing in french you don't have to know what there singing there music is so fun to listen to they was fun to watch including tambourine man Johnny Maldoror now he was all over the place playing the tambourine and it was a little nut, also i like one of the best looking guitar out there Suzie McLelove she have a great voice. if you wan to learn more you can pick there 2006 released 'Les matins de grands soirs' which was released on viney or the 2004 debut "Déjeuner sur l'herbe"
Now that i am all catch up with all the that happened since the end of cityfest, i be reporting on all the gig the best i could and don't for get stay tune for detail on my live DJ Night which is called "Culture City Live 3"
and last night when i on the net for this blog i went to the trushey New Music Tip sheets at www.newmusictipsheet.com for all the New music out there for New Music tuesday and i saw a post from Pitchfork of a recent appercne of blog site fave "Feist" on of all placed "Sesame Street". Today is July 15th, on this day what was AOL - Time Warner disbands Netscape Communications Corporation, on the very same day Mozilla Foundation is established and that in turn gave us FireFox, hey i have used it at the library and it a very good web browser. and it was on this day in 1956 the last of "the Ramones" Marky Ramone was born, he is the only Ramone that is left that is still alive today, But did you know he was born last of the four "Dee Dee Ramone" was born 1st, and then Johnny and then out friend in heaven "Joey"
Now for a moment some of the The Ramons "Pinhead"
And if you read my early post today i was going to mention i was going to a video post of a songs off one of the good album out this year. The Video which i found on youtube was the singing parts from the 2003 X-mas Comedy Elf staring Will Ferrell, it have been one of the cult scene of the film where the person in the shower sing "Baby, It's Cold Outside" wield Will Ferrell sing outside. so that where the clue "Sister of Bones" come from. This year she made her recording debut with the help of M. Ward released She & Him Volume One back in march of this year. there 1st video is called "Why Do You Let Me Stay Here?" and the Day of "Culture city Live 3"
Note: The CHRIS DUARTE gig at the Magic Bag that was going to be on Sunday Night was Postponed but the good news he will rescheduled the gig at a later date so if you have a ticket for July 13th, hold on to your tickets when the new date is out you old ticket will be good for the New one. Friday - CARIBOU WITH MAHONEY AND DEASTRO. Friday - Fundraiser for production of the short film, “The Guardian” featuring Amino Acids, Free Dirt Band, Seething F#*K Patties and Invader. Michael Beurk pays tribute and marks the 90th birthday of the world's most famous ex-prisoner - Nelson Mandela. Finally released after 27 years in prison, Nelson Mandela became the first President of South Africa in a fully-democratic election. Since retiring in 1999, he has remained far from idle. With HIV/AIDS sweeping across South Africa, he has led the campaign to raise global awareness of the disease, beginning with the setting up of the Nelson Mandela Foundation and the Childrens' Fund. Using music as the basis of his campaign, diverse artists from across the globe have held concerts to raise awareness - from the Soweto Gospel Choir through to Razorlight and Queen. As a symbol of the fight against the disease, Mandela has allowed his former prisoner number - 46664 - to be used. Featuring contributions from Peter Gabriel, Annie Lennox and Yvonne Chaka Chaka. The Programme also includes interviews from those working at the Foundation, those closest to him and ordinary South Africans living each day with HIV and Aids. It's two for the price of one this week, as we revisit the years 1976 and 1980 respectively and feature interviews from two of modern music's innovators. In the year that Agatha Christie died and Prime Minister Harold Wilson resigned, Tina Turner's life was in turmoil - both professionally and personally - following rumours of a split fom husband and singing partner, Ike. We feature extracts of her talking candidly about her life. We then go forward to 1980, the year in which John Lennon was killed, Reagan beat Carter to become the US President, and war broke out between Iran and Iraq. One of music's most daring, creative and infuential artists, Captain Beefheart, joined David Hepworth at Radio 1 to speak about his loves and passions. Tuesday and Wednesday - Iron Maiden vocalist and 6 Music presenter Bruce Dickinson continues to recall pivotal moments in the development of rock and metal in his 6-part series 'Masters of Rock' - first broadcast in 2003. Thursday and Friday - Burning Down the House - Stuart Maconie celebrates The Talking Heads. First broadcast 2000. Wednesday - The Elvis Presley Story - Part 1: The Early Days. Thursday - The Elvis Presley Story - Part 2: Sun Records. Friday - The Elvis Presley Story - Part 3: Presleymania. Part 1. Saturday - The Elvis Presley Story - Part 4: Presleymania Part 2. Sunday - The Elvis Presley Story - Part 5: Elvis The Pelvis Goes To War. An hour of the best of the new stuff featuring John Mayer's "Where The Light Is (Live In Los Angeles)", Sonny Landreth's "From The Reach", The Watson Twins' "Fire Songs" & G. Love & Special Sauce's "Superhero Brother". Live performances/interviews and more from Joe Jackson + Paddy Casey. What happens when indie rock stars take control of the airwaves? Well, you'll find out on XMU every Tuesday during "XMU A.I.R. Time" (Artists In Residency.) Each month another indie rocker visits XM for a month-long residency. This month it's Jason Pierce from Spiritualized. this week because i could not find it on my space. 15. lp session 1 wire "object 47"
25. lp session 2 dirty pretty things "romance ay short notice"
20. Buck Brothers – Which Me Do You Like? 56. Awesome Color - Electric Aborigines - Ecstatic Peace! Post Cityfest Coverage a week later. I am Writing this on July 13th almost one week after the 2008 Version of this year Comerica Cityfest and i almost recover for the five days of live gigs on the street of West Grand Blvd. and Second street. Parliament/Funkadelic top them all with that concert which last almost two full hours Spill over to the parking deck to W. Grand and to near by tried street it look like almost everybody try to see George Clinton by with that size of a crowd it was thought to see, the sound was good but i gave up after almost after a hour because it was too hot. The Whole weekend was full of people lineing up to buy food with there food tickets and it was pack with a lot of long line and which ask the question among some this if the festival outgrown the area [W. Grand Blvd. Between 3rd and Cass and Second between Lothrop Road and W. Milwaukee St.]. I don't think so i know it have grown over the years and it have a little out grown, but not that much. the whole festival recover form a day one wash out when rain swept thur the area it rain so much it force "De La Soul" to cancelled and a lot of other bands to relocated there set to the garden blow at the stick complex after a bunch phone call and texting to stick management to play there. After that day was wash out it was nice every day after that which was nice. OK i gave up after almost a hour of tring to see the funk father, but i did hear a half of his classic set and it sound so great after all those years. Next to me know alot about music, Stirling a ture rock and roll fan and icon of the scene and know to program one stage and he did that back to back to back and put a really good mix of quirky, fun, and enjoyable night of rock music. Danny Kroha is still rocking and still rolling after almost 20 years and this is the latest on this legion Detroit guitarist after they put a old school sounding set which is really great, one of the band to watch. Alright there was no Fiest, Amy Milain, or Emily hands, or any other female and Kevin Drew had a bad back he play Thu the show, despite all that the show was really a great to see a great band that have the sprite and very good. And this band i really like a good lay back with a very good mix of members who is really good and have good song and they look great on Stage. If i have any advice for how to improve there is one issued i would like to see i would like to see a improvement on the whether or not the band would go on after bad weather is in the area, it was frustrating to see wheter or not the "De La Soul" and i wait for about two hours, but i was told it take about a 30 minutes to set up aging for the music to start and they ran out of time and "De La Soul" was a total loss. So this complete this blog site coverage of Comerica City Fest for a another year will do this aging Next year and now a little rest to do other things on the blog site with playing for "Culture City Live 3" which should be fun and hope to do the full Dally in the alley in September"